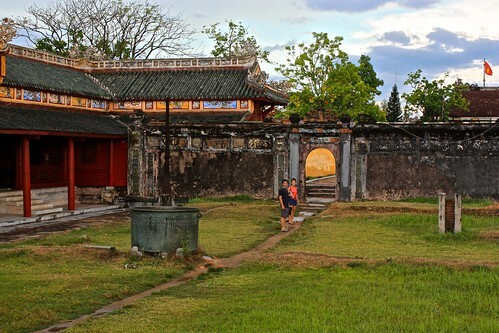 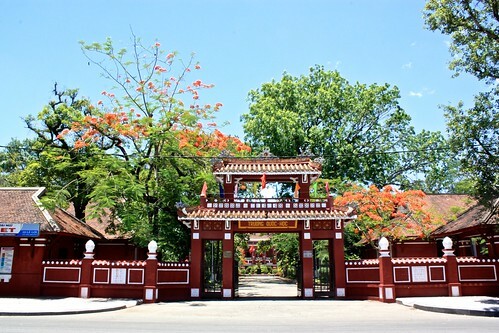 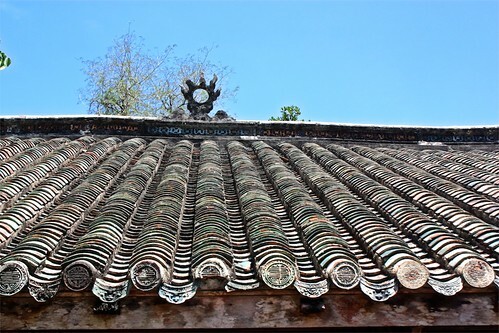 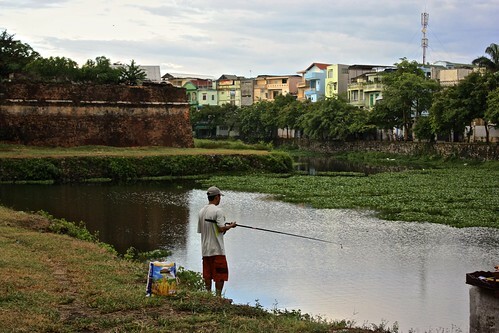 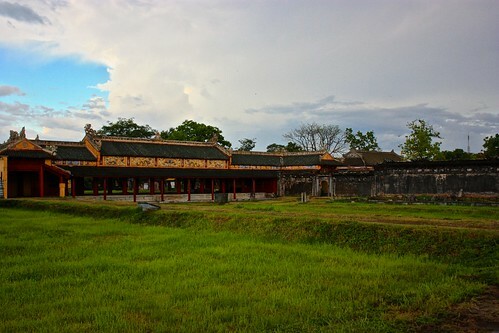 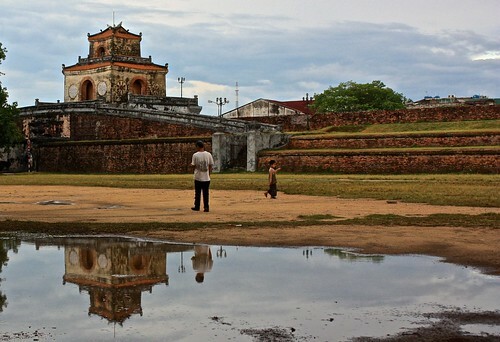 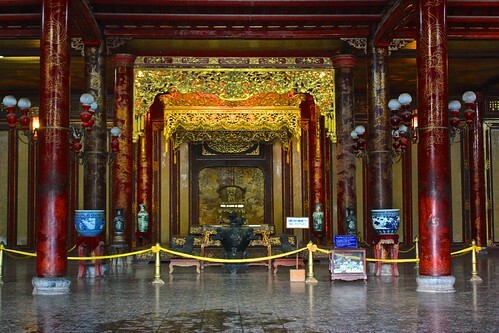 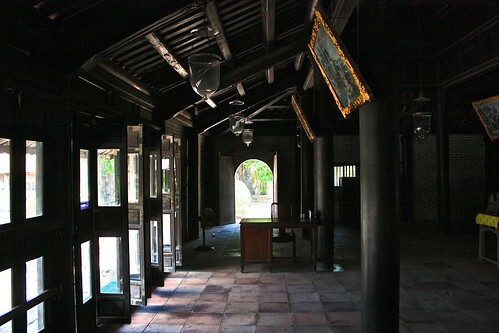 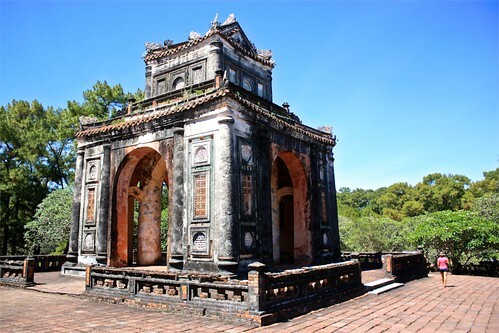 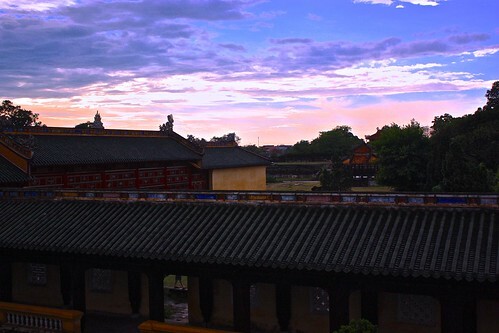 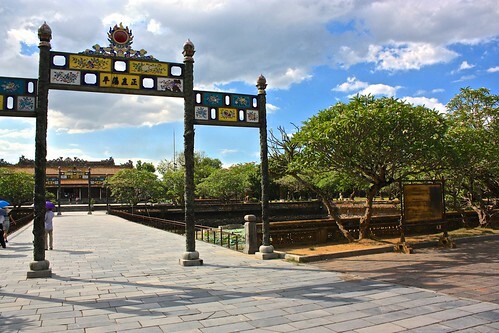 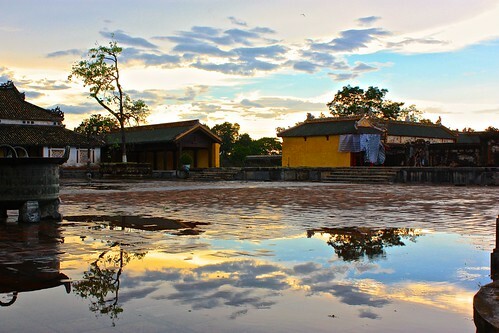 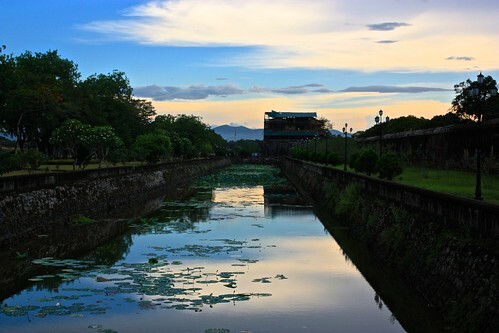 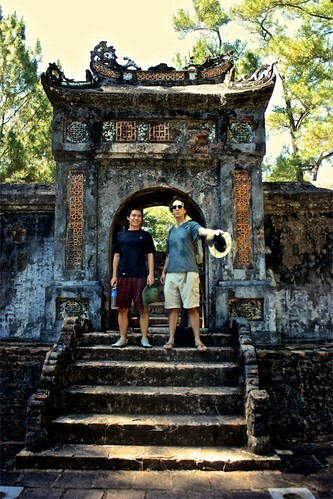 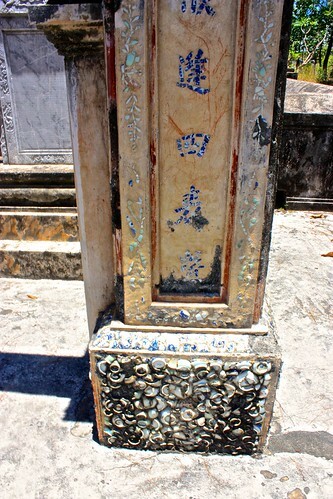 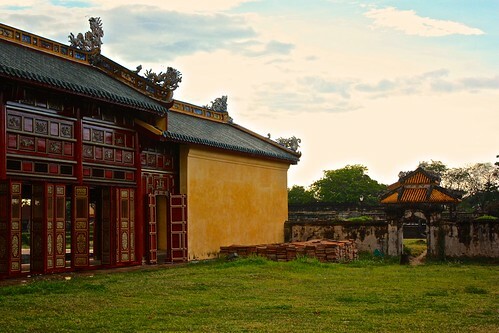 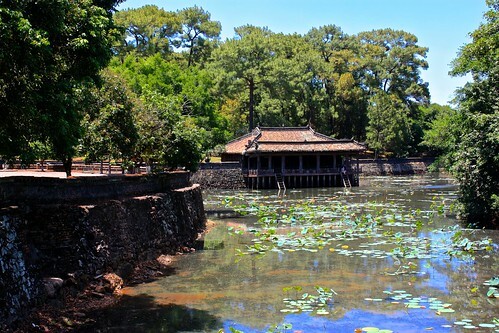 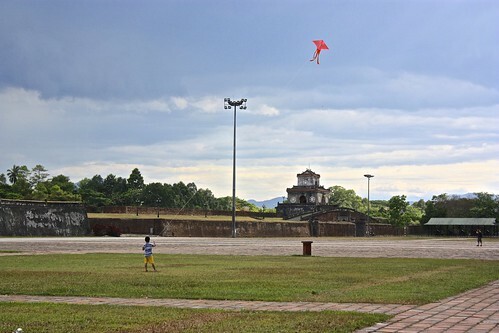 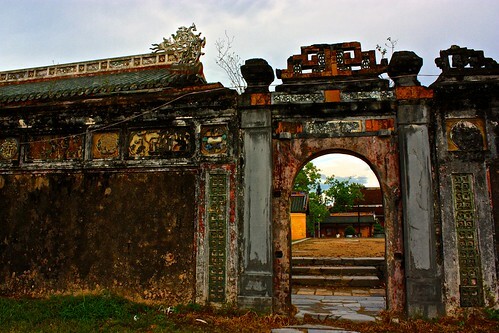 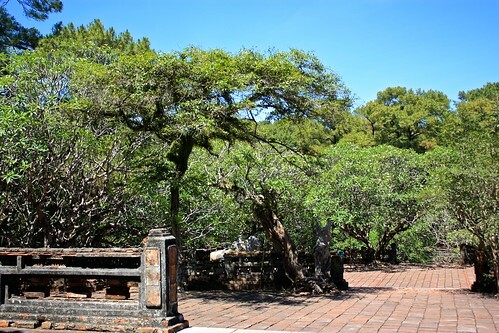 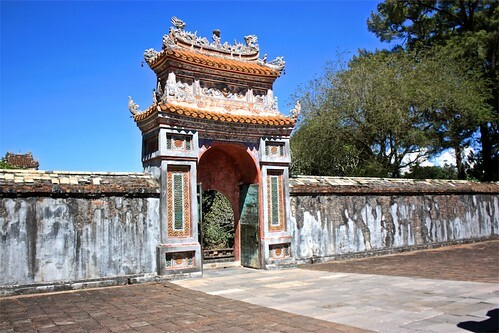 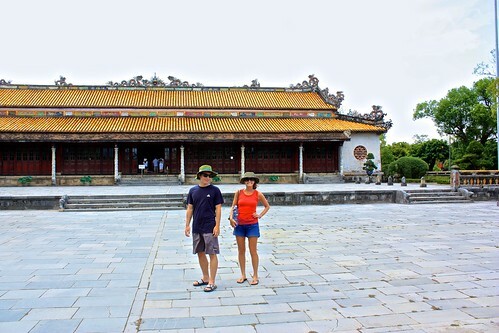 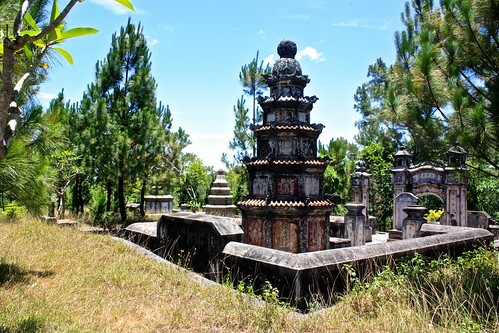 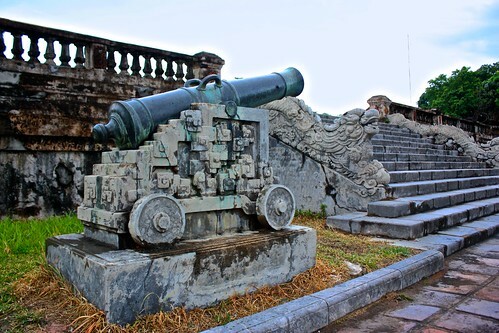 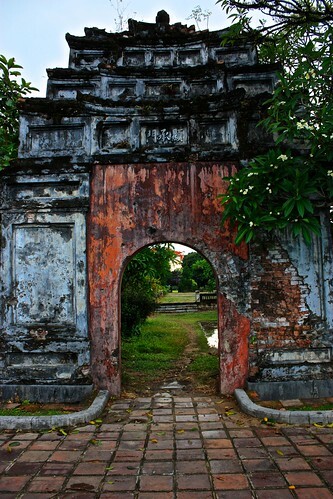 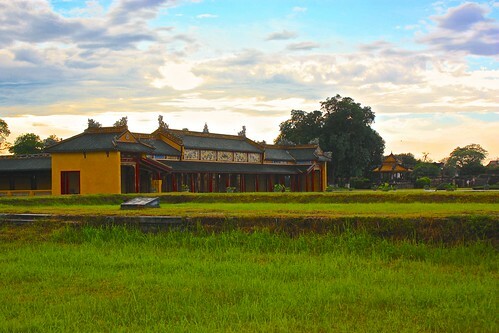 See the Citadel, tombs, and more of historic Hue in this photo tour. 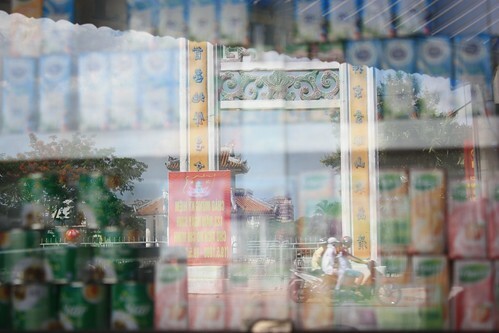 Reflections from a food stall… Vietnamese life. 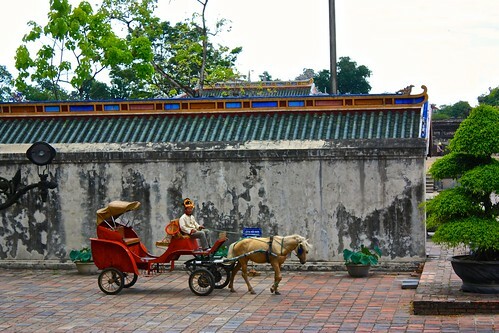 Motorbikes. 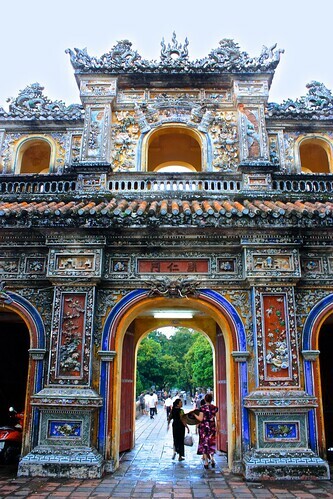 Beautiful Architecture. 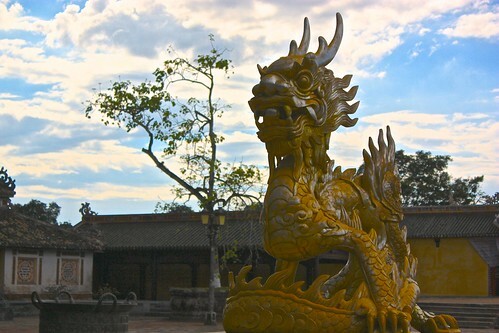 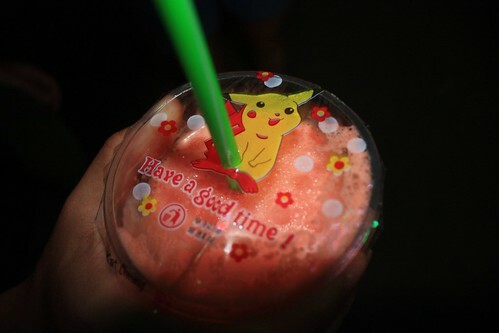 A Chinese dragon. 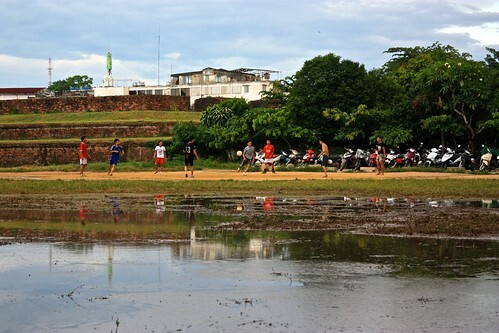 Ball in mouth. 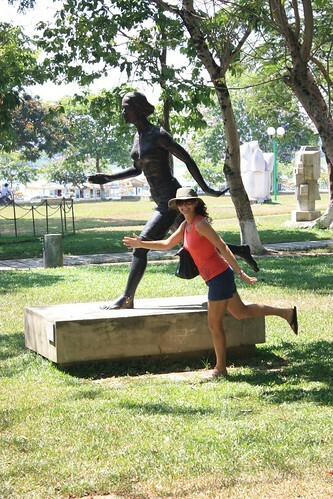 Golden retrievers beware! 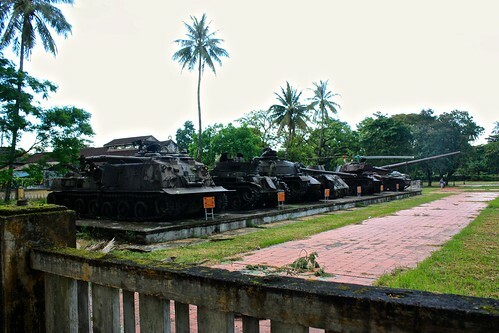 can't have a Citadel without some tanks? 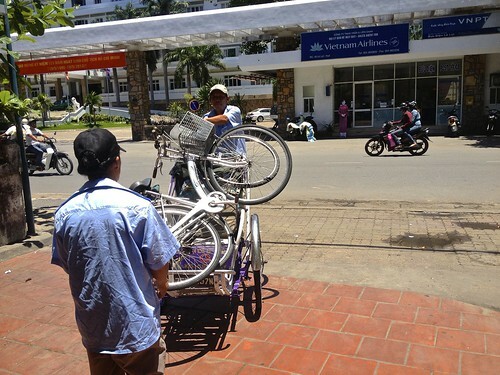 our bicycles were delivered by cyclo… they tried to charge us extra for that (after we already agreed on price), but we said no. 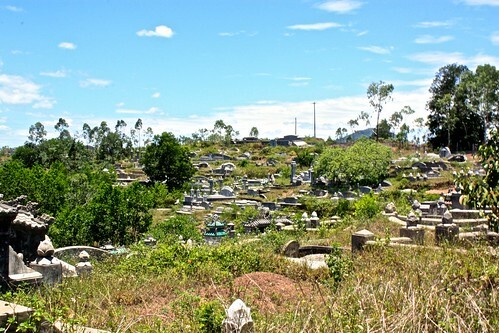 In the middle of the night, workers loaded cases upon cases of Heineken into our big sleeper bus… Even more random was we took some dirt road to get here. 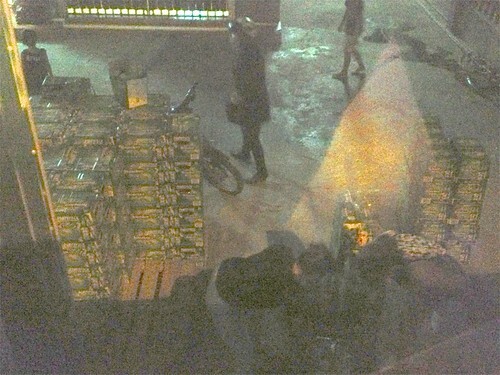 Why was all this beer in the middle of no where? 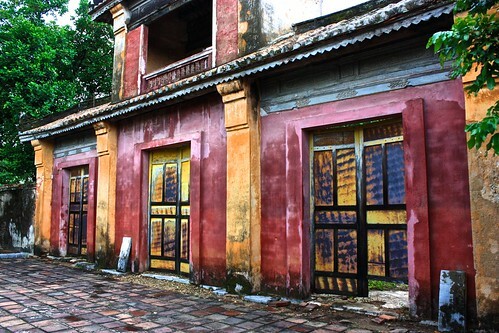 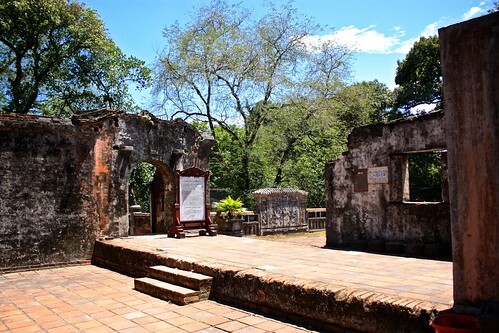 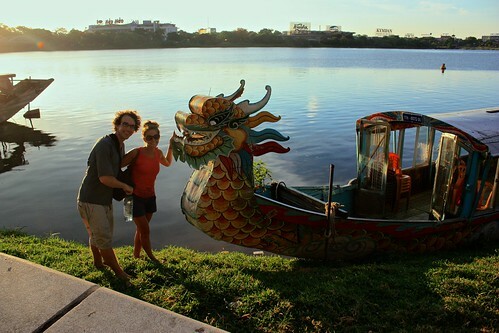 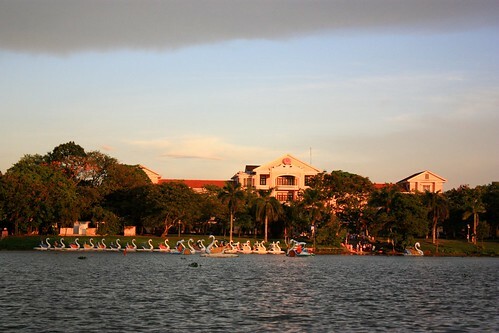 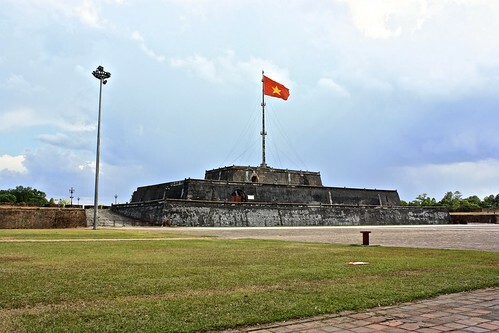 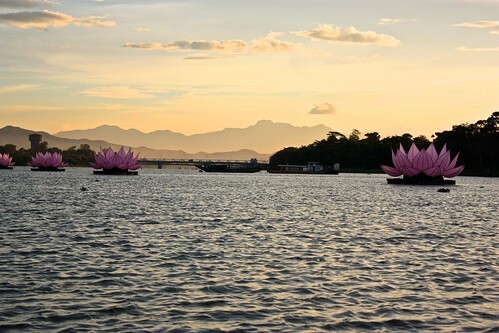 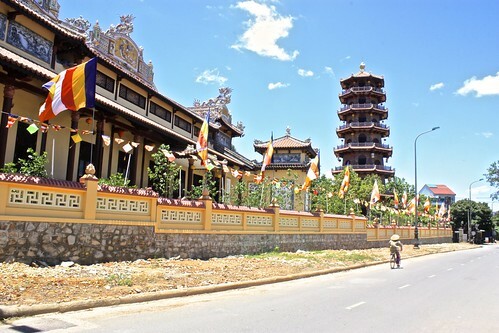 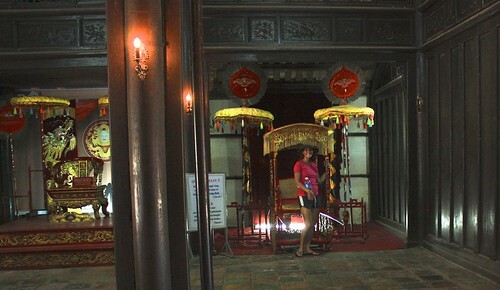 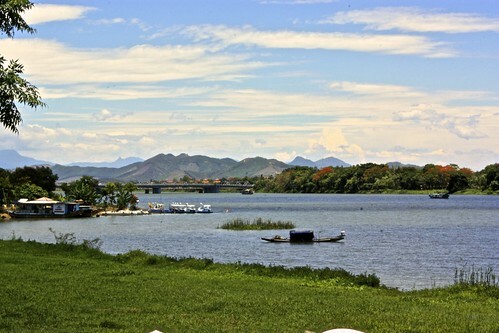 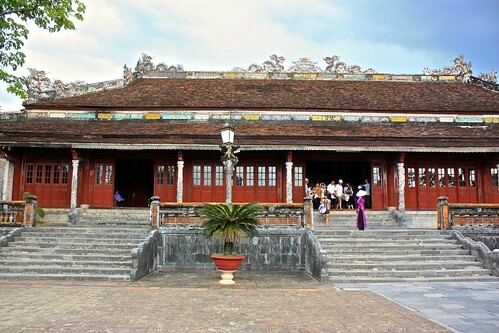 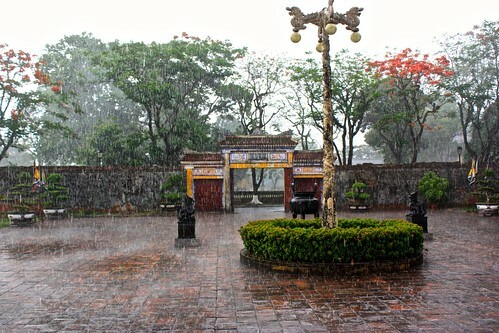 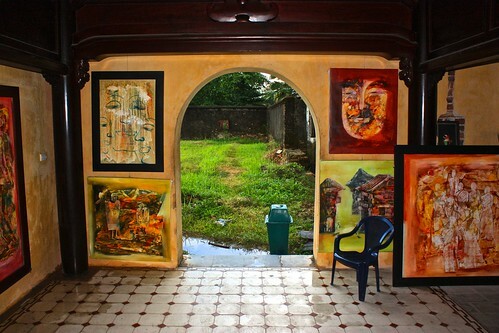 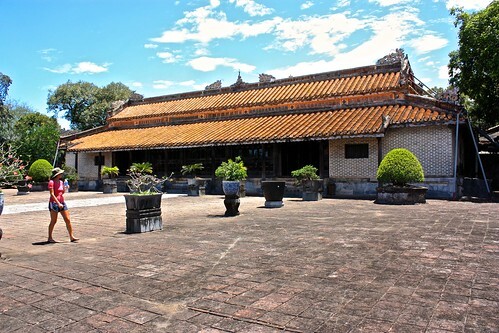 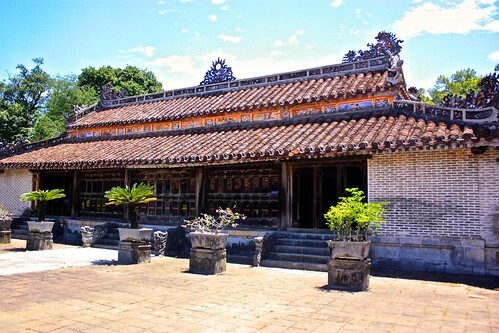 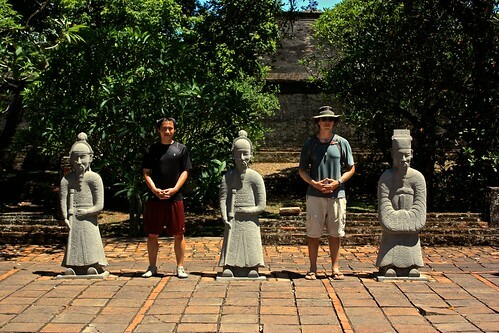 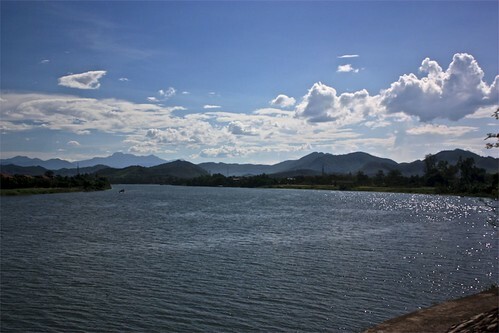 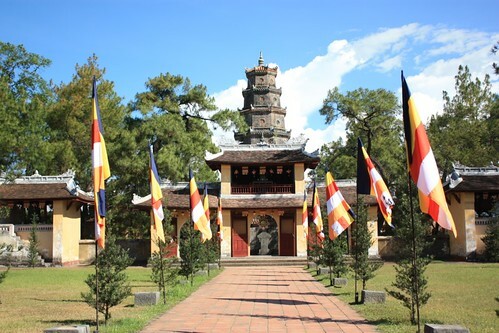 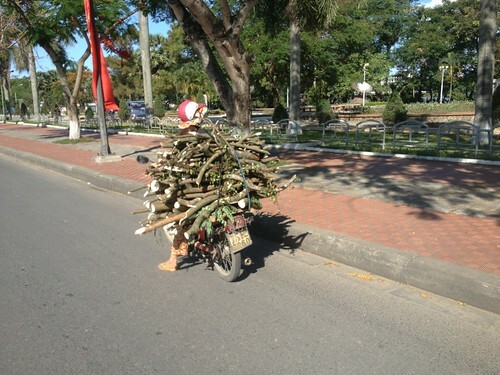 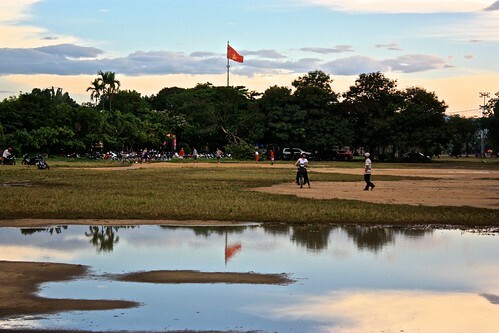 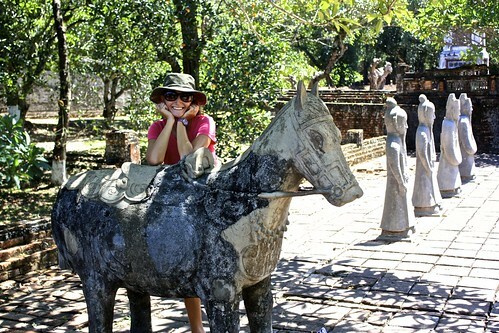 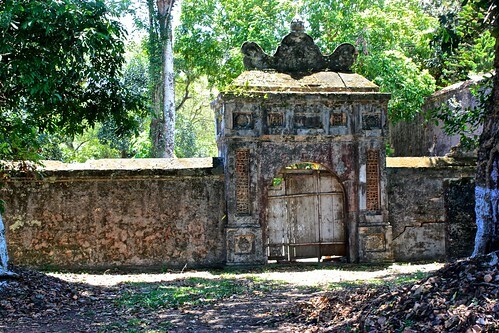 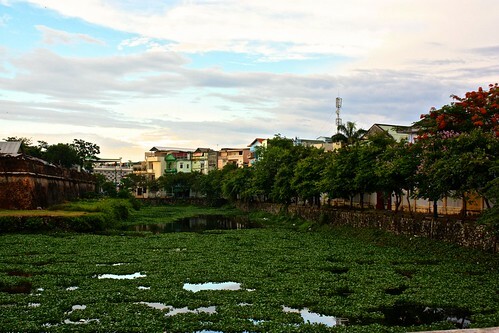 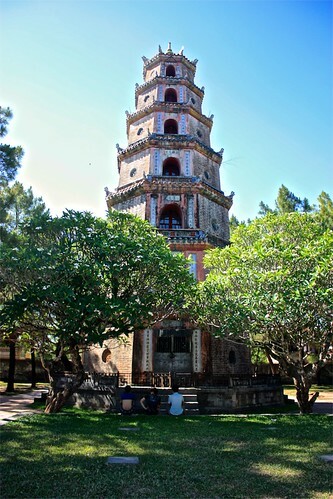 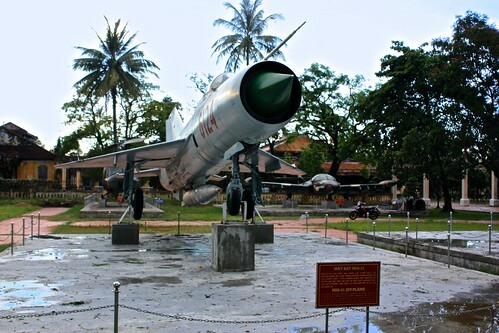 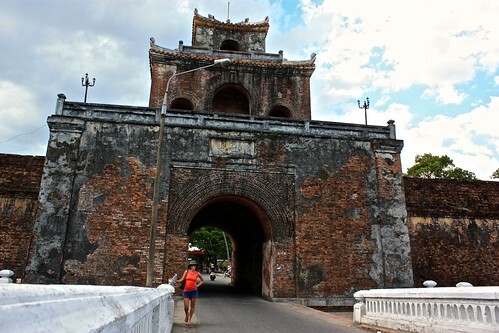 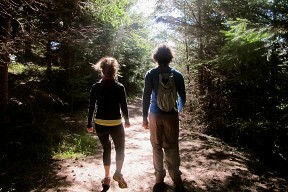 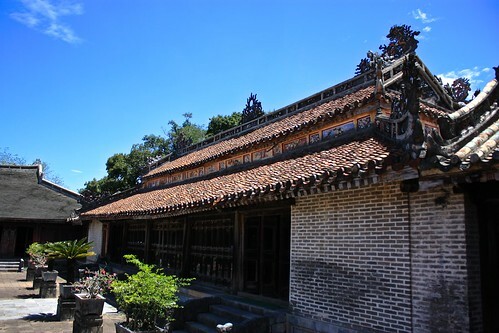 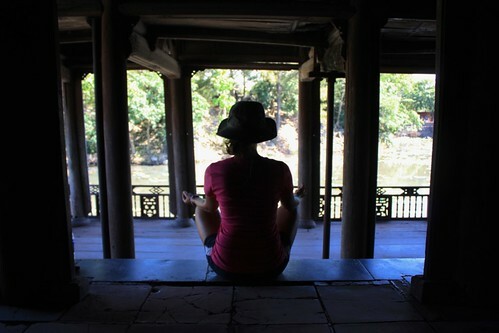 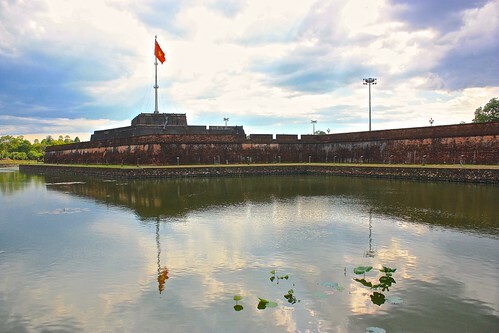 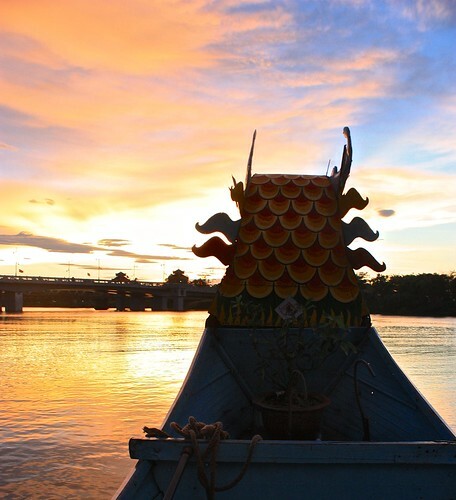 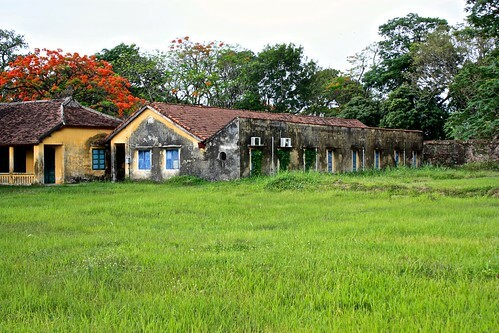 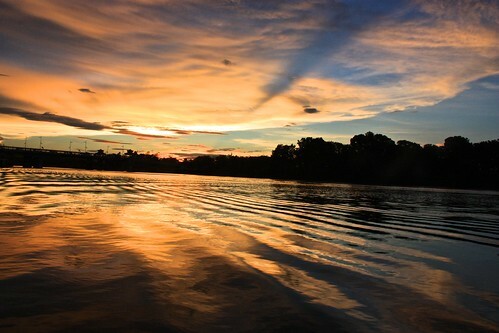 Read more on budget travel in Hue.